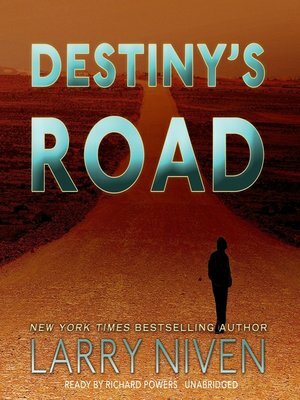 Get ready for an adventure on a world from the brilliant imagination of New York Times bestselling author Larry Niven. Wide and smooth, the Road was seared into planet Destiny's rocky surface by the fusion drive of the powered landing craft, Cavorite. The Cavorite deserted the original interstellar colonists, stranding them without hope of contacting Earth. Now, descendants of those pioneers have many questions about the Road, but no settler who has gone down it has ever returned. For Jemmy Bloocher, a young farm boy, the questions burn too hot—and he sets out to uncover the many mysteries of Destiny's Road.